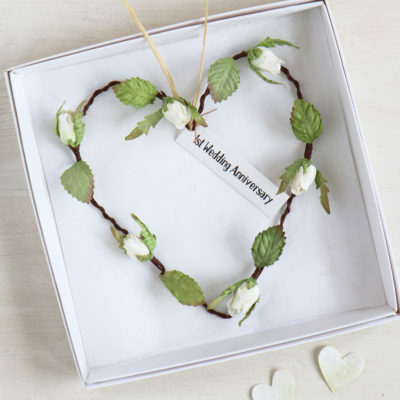 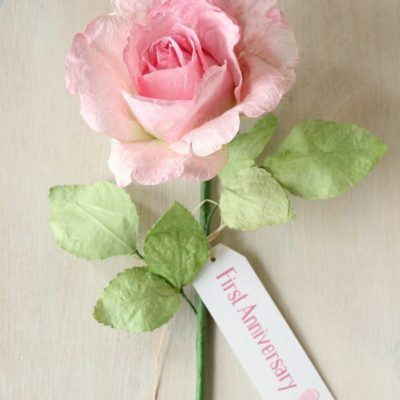 First Anniversary paper heart with mini paper rosebuds, beautifully handmade and coloured. 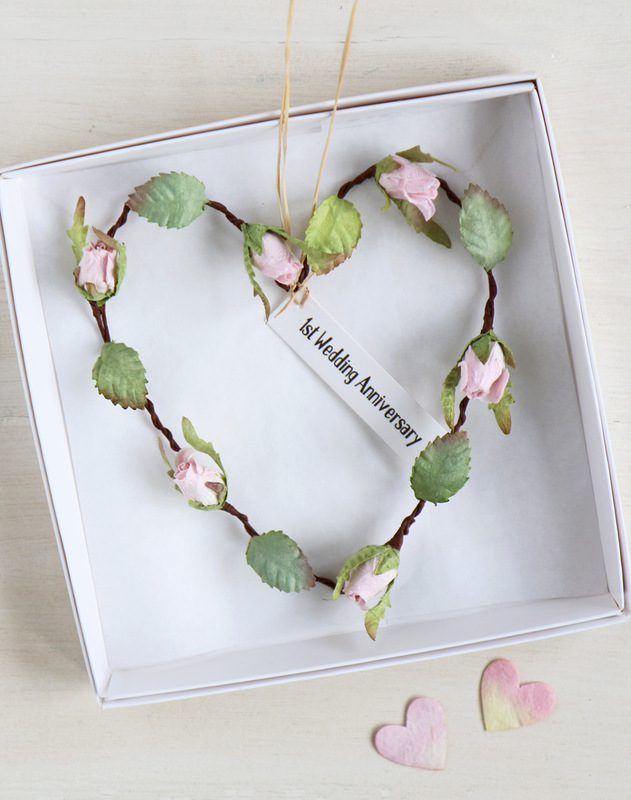 A perfect small gift for the paper (1st) wedding anniversary. 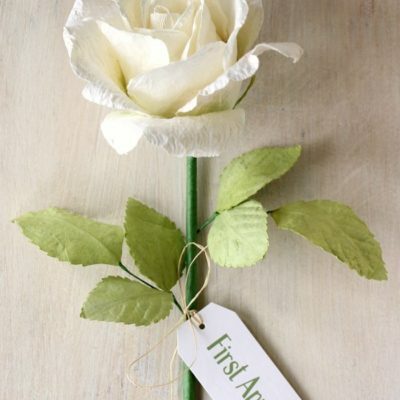 A greeting tag is attached reading ‘1st Wedding Anniversary’ – an alternative card,decoration & gift. 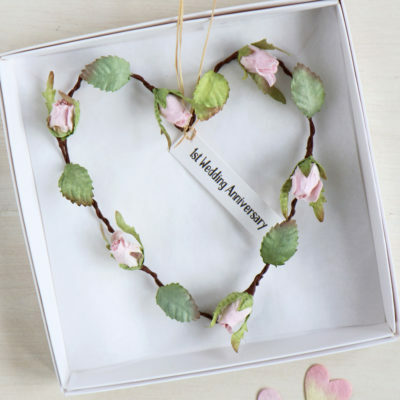 Diameter approx 10cm. 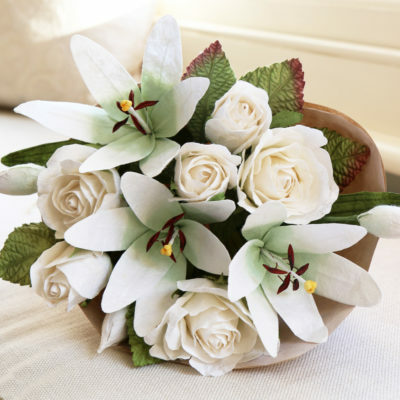 Supplied in a box for presentation or posting. 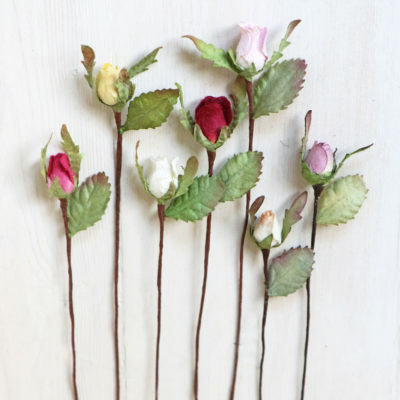 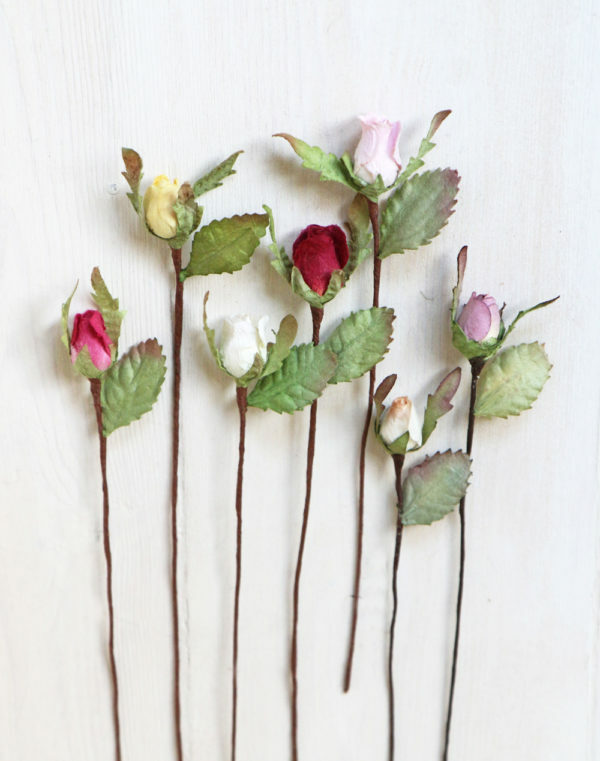 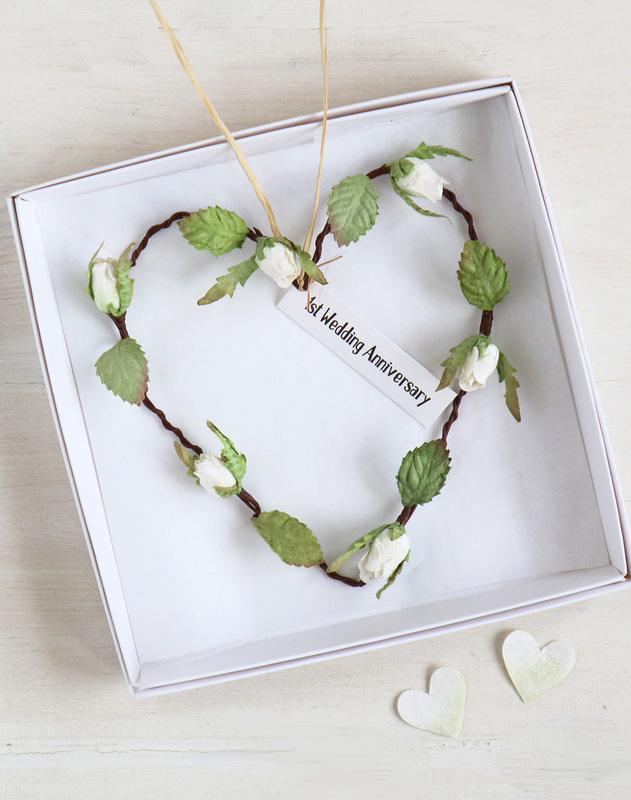 The rosebuds are hand crafted from eco-friendly paper. 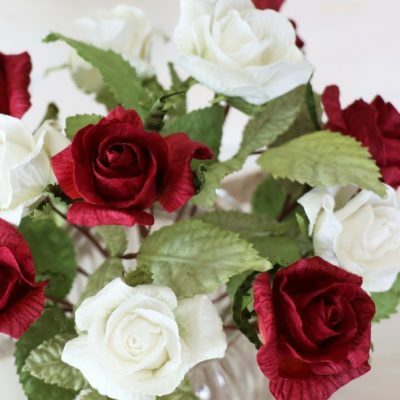 Available in 5 colours – please select.